Astronaut Tracy Caldwell Dyson realises there's no place like home as she peers down at Earth from the highest vantage point possible - space. 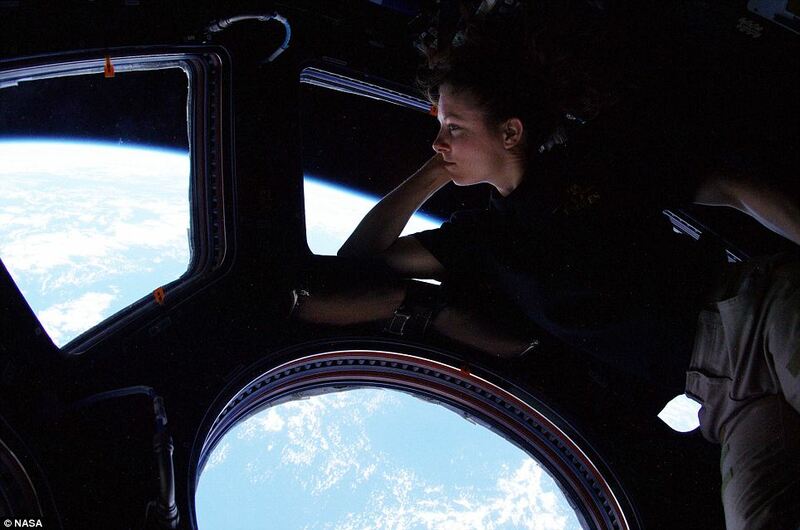 Staring out of the windows of the International Space Station (ISS), astronaut Tracy Caldwell Dyson takes in the planet in all its wonderful glory. Orbiting our planet about 217 miles i[, the ISS is high enough so that the Earth's horizon appears clearly curved. Astronaut Dyson's windows show some of Earth's complex clouds, in white, and life-giving atmosphere and oceans, in blue. 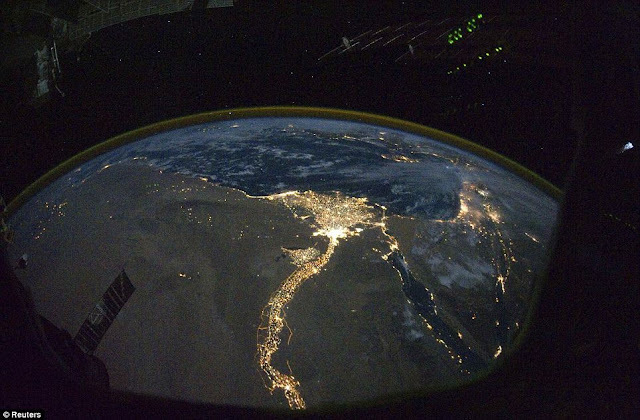 The space station orbits the Earth about once every 90 minutes and it is not difficult for people living below to spot it in the sky if they look carefully. 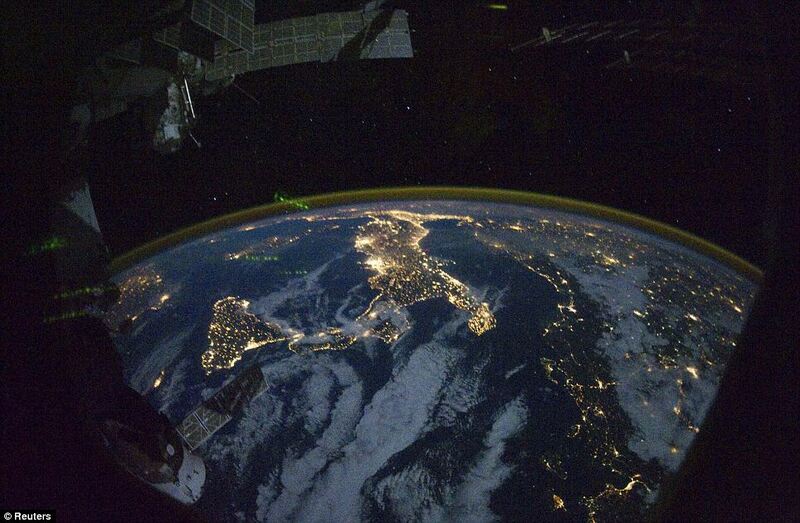 The ISS can frequently be seen as a bright point of light drifting overhead just after sunset. In fact, telescopes can even resolve the overall structure of the space station. The above image was taken in late September from the ISS's Cupola window bay.